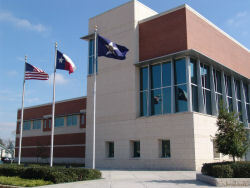 As a result of City concerns about the reliability of its Computer Aided Dispatch system, a comprehensive End-to-End Houston Emergency System Performance and Process Assessment was completed in March 2005 by MITRE Corporation, a not-for-profit company that identified single points of failure and recommended mitigation actions which supported the center's quest to achieve system stabilization. Pursuant of information that relates to critical infrastructure (Sec. 418.181 of the Government Code) and information that relates to security issues for computers (Sec. 552.139 of the Government Code), selected information has been withheld from public disclosure. This document has also been broken down into 10 parts for easy downloading.